EM4412 embedded single board compute is based on the Samsung Exynos4412 ARM Cortex-A9 Quad-core processor, 2GB DDR3 and 4GB EMMC Flash, supports 4.3 / 7 / 10.1 inch resistive / capacitive touch screen. The full featured SBC is built in high efficient DCDC and Ethernet PHY IC, and the size only 148mm x 108.4mm. Comes with the latest Android 4.0 OS and rich optional module( Camera, GPS, WIFI, Bluetooth, 3G), this Quad-core SBC provides advanced, compact configuration ideal for size, weight, and power constrained applications, such as POS, Slot Machine, and Car mounted system. Feature * CPU: Samsung Exynos 4412, 1.6GHz, Cortex A9 Quad Core * RAM: 2GB DDR3 * Flash: 4GB EMMC * 4.3 / 7 / 10.1 inch resistive / capacitive touch screen * 14 x 8 Matrix Keypad * 4 x UART( 3 x 5-wire and 1 x 3-wire) * USB OTG 2.0 * USB Host 2.0 * 10/100Mbps Ethernet, RJ45 interface * HDMI V1.4, 1080p@30fps HD output * HSIC, I2C, MIPI-CSI, HS-SPI, TSI, RTC * SDIO, mini SD card slot, 3G SIM card slot * 2 x camera interface * Power input: DC 9V~23V * Optional module: Camera, GPS, WIFI, Bluetooth, 3G * Dimension: Carrier board - 148mm x 108.4mm; Core board - 65mm x 47mm About Design Services Boardcon can provide the embedded hardware and software you need to meet your embedded project requirements. When the addition of your feature can economically be included in one of our existing SBCs, we will modify the board for a semi-custom solution. 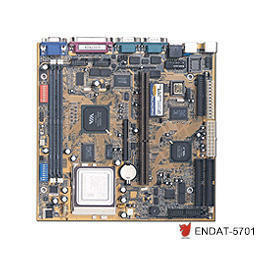 When needed, we will develop a new embedded SBC or peripheral board to meet your requirements.